business of the Centre on day-to-day basis is vested to the Executive Director. specifically for urology, nuclear medicine, and Telemedicine and Endoscopic services. Virology, Microbiology) Non Invasive Surgical Services and radiotherapy services. by the Tanzania Nurses and Midwifery Council. ii. Computer knowledge will be an added advantage. (v) Prepare reports of clinical diagnostic procedures for interpretation by physicians. 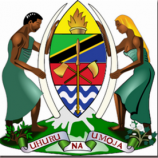 Nurse’s Council of Tanzania or listed by the Medical Council of Tanganyika. Attractive remuneration package in accordance with Government salary scale TGHS C.
(iii) Keeping and maintaining laboratory equipment and records. or Institution plus registration by the Health Laboratory Practitioners Council. results under the supervision of a senior laboratory Technologist. Attractive remuneration package in accordance with Government salary scale TGHS B. Classification of Diseases and Procedures in Medicine. Institution.Computer knowledge will be an added advantage. Attractive remuneration package in accordance with Government salary scale TGS C.
(vii) Send specimen to laboratories and collecting results. Form Four (IV) with at least 1 year certificate in nursing course. (vi) Taking care of DDA. Council. Computer knowledge will be an added advantage. Attractive remuneration package in accordance with Government salary scale TGHS A. (v) Giving health education to patients and relatives. by the National Pharmacy Board of Tanzania. (ii) Must be computer literate. (iii) Doing Postmortem to confirm causes of deaths. Registered by Medical Council of Tanganyika. (vi) Keep and maintain patient’s records. the register of Medical Radiology and imaging Professionals as a Radiographer. establishment order, 2005, Government notice no: 418 published on 9/12/2005. (xi) Performing any other official duties assigned by his immediate Supervisor. Attractive remuneration package in accordance with Government salary scale GSTS 3. (i) Carries out specified tasks under supervision. (ii) Assist senior staff in relevant fields of operations. (iii) Performs any other related duties as may be assigned by one’s reporting officer. and must possess ICT skills. at least three years in a similar position plus ICT skills. (i) Receive correspondence and files sent by dispatch book. (ii) Receives and distributes official publications according to standing instructions. means of dispatch and checks date and signature. (iv) Records outgoing registered correspondence and telegrams. (v) Maintains a register of files sent out to or received from different offices. Office in time according to instructions. (vii) Assembles flimsy copies and files them for circulation to respective Officers. (x) Performs any other related duties as may be assigned by one’s reporting officer. Government Agency, established under the Executive Agencies Act No. 30 of 1997. (vi) Perform any other duties related to the field as assigned by supervisor. university/institution. He must be computer literate. research that conforms to consultant and teaching hospitals and Institutes worldwide. (viii) Perform any other duties as assigned by superiors from time to time. completion of Internship and registered with Tanzania Nurses and Midwives Council. (vii) Do any other duties as may be assigned by supervisor. Nurse by the Tanzania Nurses and Midwives Council. (vii) Perform any other duties as may be assigned by supervisor. Form IV/VI Certificate and one year Certificate in Health from a reputable institution. (vii) Perform any other duties assigned by superior from time to time. Perfusion Science or its equivalent from a reputable institution. Windows pcs and peripheral equipment (such as printers, scanners, etc.). (ix) Perform any other duties as may be assigned by supervisor. (iv) Perform any other duties assigned by superior from time to time. Diploma in Physiotherapy or its equivalent from a reputable university/institution. (vii) Execute treatment plans for patients. (ix) Perform any other duties assigned by superior from time to time. (i) Make sure that the radiation protection in the department is maintained. (iii) Prepare patients for procedure. (v) Perform any other duties as may be directed by supervisor. Diploma in Radiography who is registered by the National Radiation Commission. (i) Supervise dispense of medicine as per doctor’s prescriptions. (ii) Make extemporaneous preparations (compounding). (iii) Organize preparation of sterile and non-sterile pharmaceuticals. (iv) Provide drug information to both patients and health care personnel. (vi) Supervise, appraise staff and identify development and training needs. registered by the Pharmacy Council. (iii) Perform all investigations for patients. (iv) Attend general outpatient clinics. (v) Prepare all patients for any surgery/procedure. (vi) Carry out post -operative follow ups. (vii) Carry out any other duties as assigned from time to time. retrieval of data and records on diseases and patients. (iii) Organize and manage a system for reception of in-patients and out- patients. (v) Carry out any other duties as assigned from time to time. Diploma in Health Records from a reputable institution. Administration, Commerce, or Statistics from a recognized University/Institution. (i) Clear goods from port of entry and maintain delivery register. (ii) Verify goods with customs officials at the port. (iii) Deliver goods to final destination. (iv) Load containers and loose cargo on road worth trucks.